I love mango in my morning green smoothies. 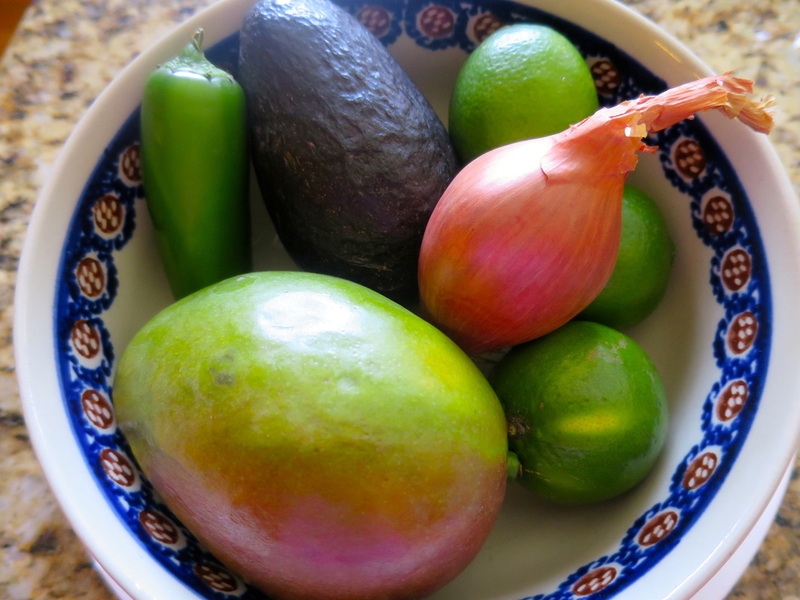 It is also one of the ingredients in my Cinco de Mayo menu; it is a main ingredient in the salsa as well as the mini tostados. Mango is delicious! Cutting a mango can be a bit challenging. I learned this easy trick years ago, and it makes cutting up this fruit so much easier. Hold the mango up so that it is standing on it’s bottom (oposite side from stem). Mangos are oval and have a flat pit. As you stand the mango up you can tell which way the large flat pit is laying. Your goal is to cut down both sides of th pit as you hold the mango with one hand. When you slice down the sides of the pit, you are left with two “mango” bowls, and a center flat piece that holds the pit. With your knife, slice the mango first lengthwise, and then again cross wise. You will have a checkerbaord pattern. 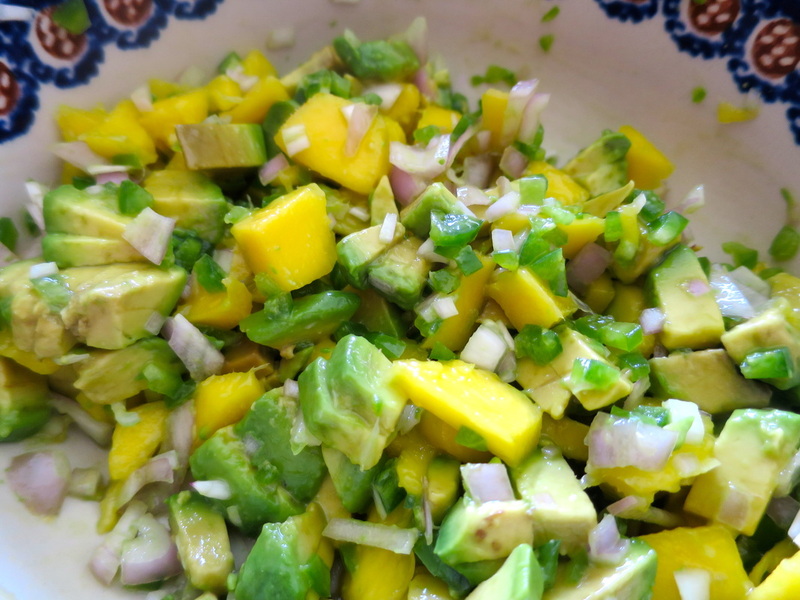 Take the mango “bowls” and push the bottom up so your bowl is now convex in shape (bulging outwards). 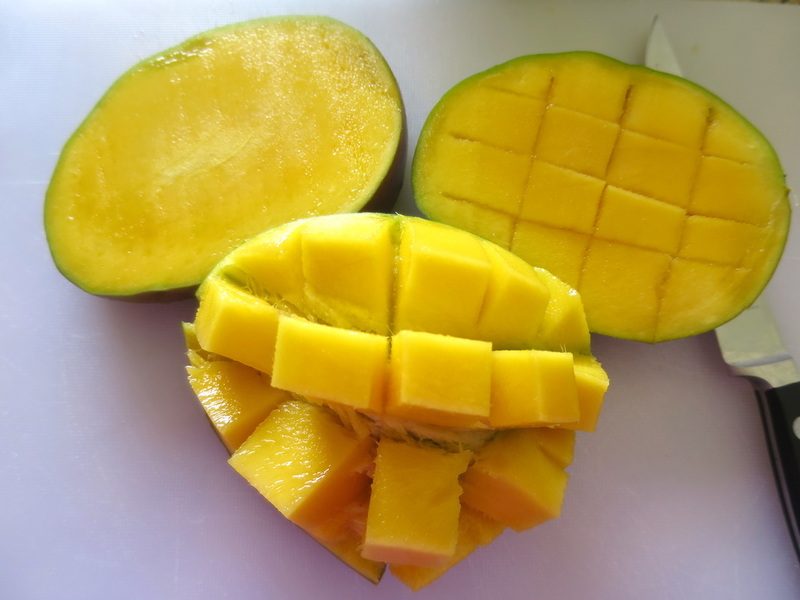 The diced mango is now easy to cut away from the flesh. Take your knife and cut around the pit of the flat center piece, then slice off the skin, and you have a few more pieces of mango. 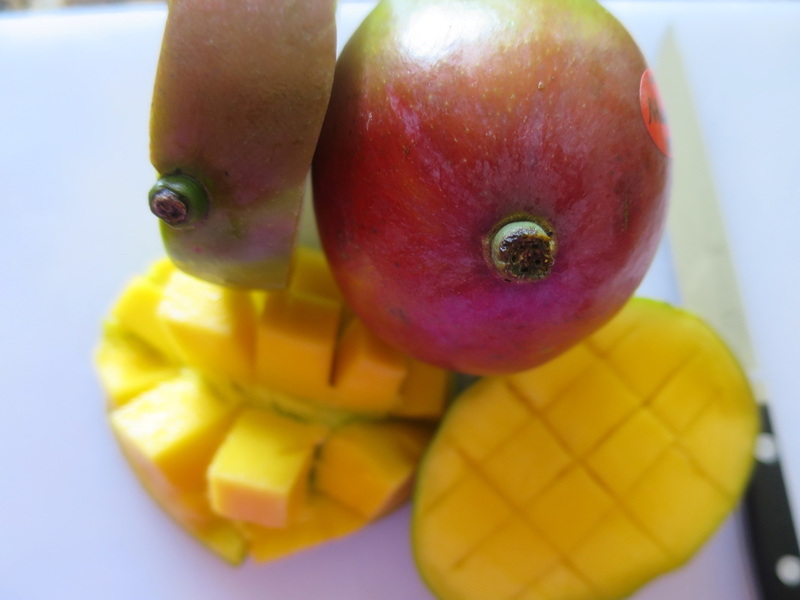 Your mango is now ready to add to salsa, smoothies, or to just eat as is.